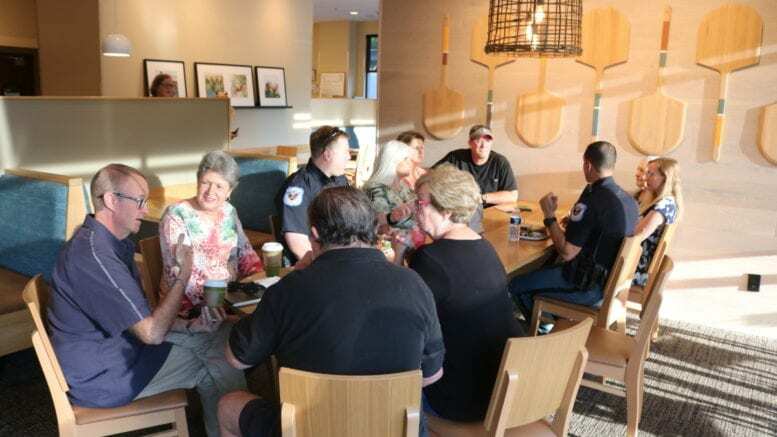 Officers from Cobb County Police Department Precinct 2 were on hand to chat with neighbors over coffee at Panera Bread Company on the East-West Connector Wednesday evening. Officers Penirelli and Conwell of the Cobb County Police Department‘s Community Affairs Unit answered questions and listened to the concerns of residents who sat around a long table supplemented by adjacent tables. Among the things discussed were traffic, auto break-ins, and blighted apartments and businesses. Penirelli said that when there is a rash of auto break-ins in a neighborhood the cars targeted tend to be unlocked cars. He said that in a recent string of six break-ins every one of the cars had been left unlocked. The officers also told residents about the nuisance abatement program the police department and code enforcement can use on apartments that have a large number of police calls associated with them. Penirelli said that if the property is determined to be a nuisance the landlord has to agree to a plan to remedy the problems and to fix the problems within a set time-frame, or risk penalties. He encouraged residents who have installed video monitoring systems to register them with the police department and to point some of the cameras to neighboring properties. He said the purpose of registering the system is that if a crime occurs police have a record of neighbors who might have recorded the incident. Coffee with a Cop is held periodically in all precincts. 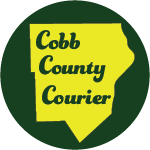 We post the schedules here on the Cobb County Courier. The October schedule is posted here. Be the first to comment on "Cobb police Precinct 2 Coffee with a Cop"